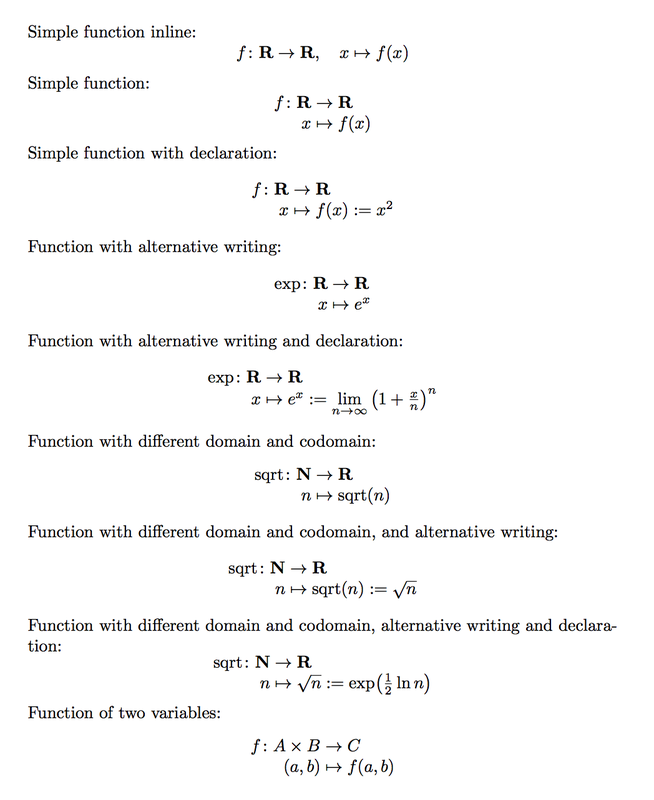 I am defining a macro in LaTeX2e for writing function declarations. I want that the macro has tree compulsory arguments: the name of the function (v.g f), a depiction of the type of variable it takes (v.g. x), and the space in which the function is defined (v.g. 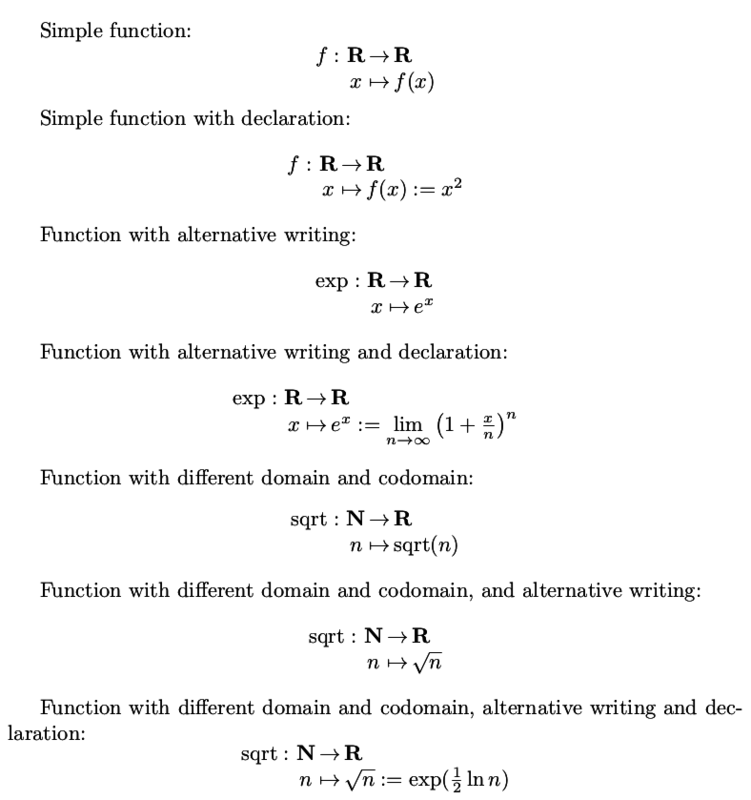 \mathbb R), as well as three optional arguments: the domain (if the domain is not the same as the codomain), the writing of the function applied to its variables, and the asignment/meaning of the function. 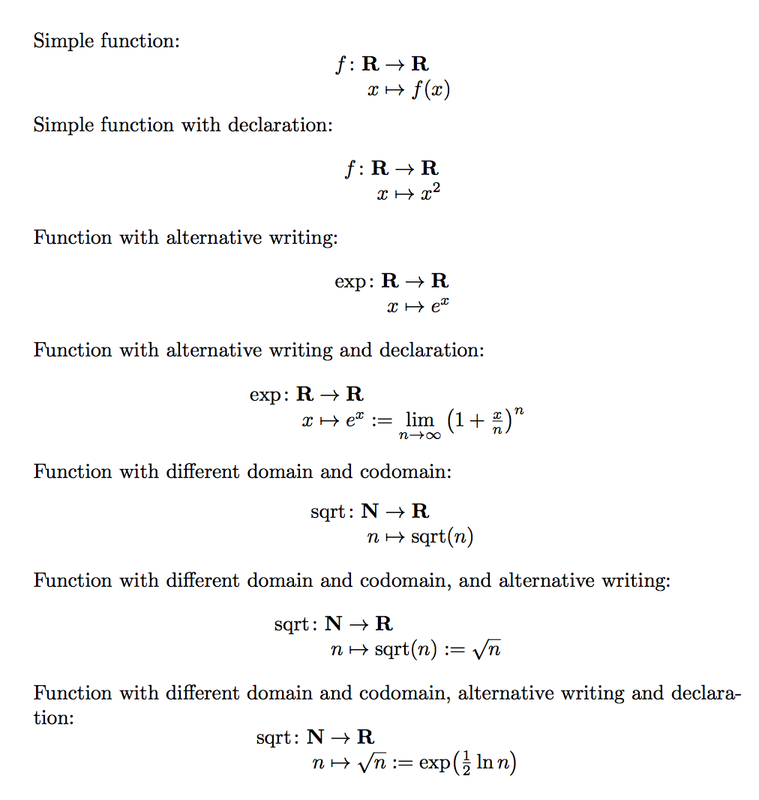 Is there any other way to define in LaTeX2e these kind of macros that does not require too many supporting macros (5 in this sample) and temporal definitions (2 in this sample)? I would use a completely different approach, with a key-value syntax. Six arguments, some of them optional, with a * to denote a missing one are error prone. Here's an implementation in LaTeX3, with also an “inline” version. and is equivalent to the third one (of the first four). I do not consider this to be much of a problem; if you do, it will not be easy to fix. Not the answer you're looking for? Browse other questions tagged macros optional-arguments starred-version or ask your own question. Starred macro with delimited arguments?